symptoms Dave Robertson.” width=”800″ height=”533″ class=”size-full wp-image-8131″ /> The NOBs 2017. With various children & their golf pro, generic Dave Robertson. 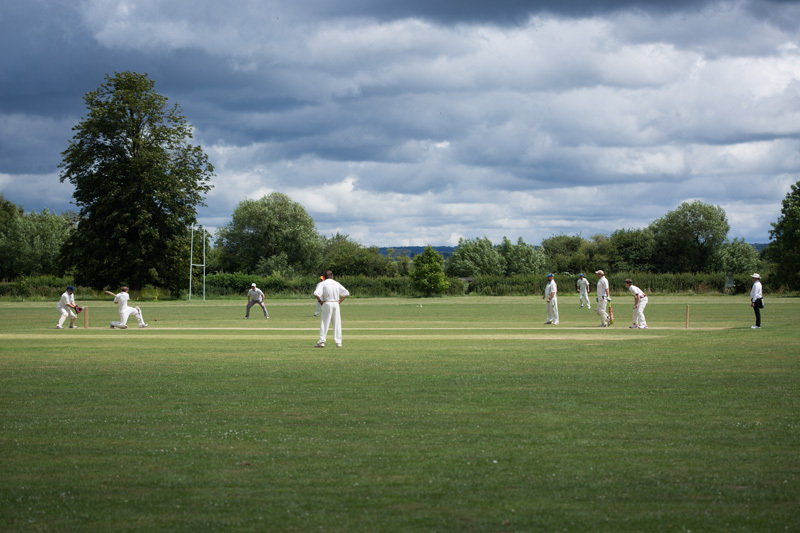 As the NOBS skipper, search Andy Hobbs, walked out to open the batting, half his team were still en-route for Warborough and Shillingford Cricket Club. There is normally no excuse for tardiness, but now Pret-a-Manger do chocalate coissants with a hint of hazelnut – it’s completely understandable that the NOBs bowling duo of ‘The Rhino’ and ‘The Tornado’ were delayed at South Mimms. Especially as ‘The Tornado’ has recently purchased a new classic BMW and won’t let anyone eat a croissant inside his new automobile – let alone a KFC as ‘The Rhino’ laughably intimated on their return home. When the duo finally arrived at the ground, Andy Hobbs was sheepishly walking back to the pavilion. “I was due to bat number 4,” explained middle-order dynamo Don Leiper, “we were one wicket down and only had six players – but I still didn’t get a bat.” Unfortunately for the Don, Andy Hobbs, is regularly bowled out by his two year old son in the garden, so was no match for the W&SCC opening bowler, Tim, which meant ‘The Rhino” was sent straight into bat as the innings faltered. ‘Who do we hate?’ Paul asked his oldest girl back at the pavilion. In all the years that NOBs players have been bringing their children to games, there has never been a finer example of parenting displayed than this. No wonder Paul is in the team. 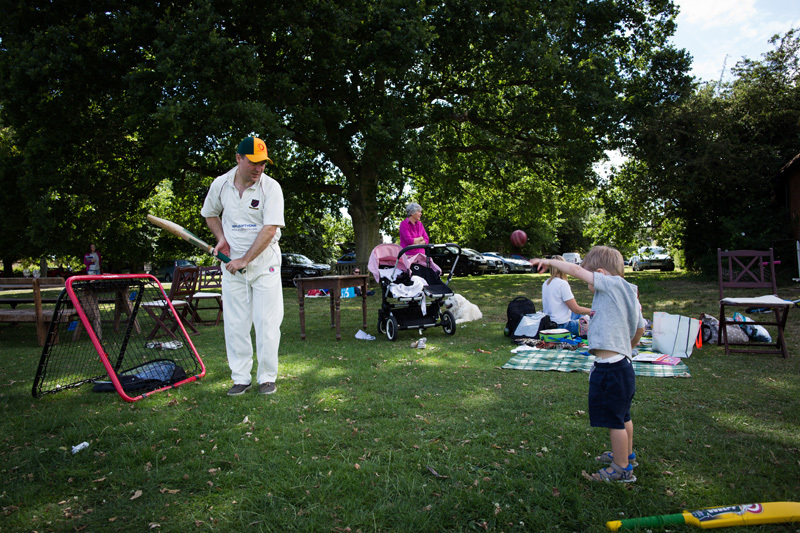 His batting is limited and his fielding barely effective – but as a fine upstanding gent and as an role model for young children, there are clearly none more impressive than Paul. Back out to the pitch and an intriguing duel was developing. Tim, who occasionally plays minor-counties level was burning into bowl, fresh from taking 10 wickets for 12 runs against Didcot under 9’s. He was fast and furious and Alex Booth was making the most of his gardening leave from work by scything him through the covers and cutting him through the gully. His 117 runs would have been a match-winning innings if he’d been playing for the other side. He was ably supported by Rhino, who nurdled a few runs in the morning and then came out Ian Botham-style after lunch. It is hard to know whether he was empowered by the bottles of red & port he swigged during the break, or the incendiary comments of the ‘leave’ voting W&SCC declaration bowler. 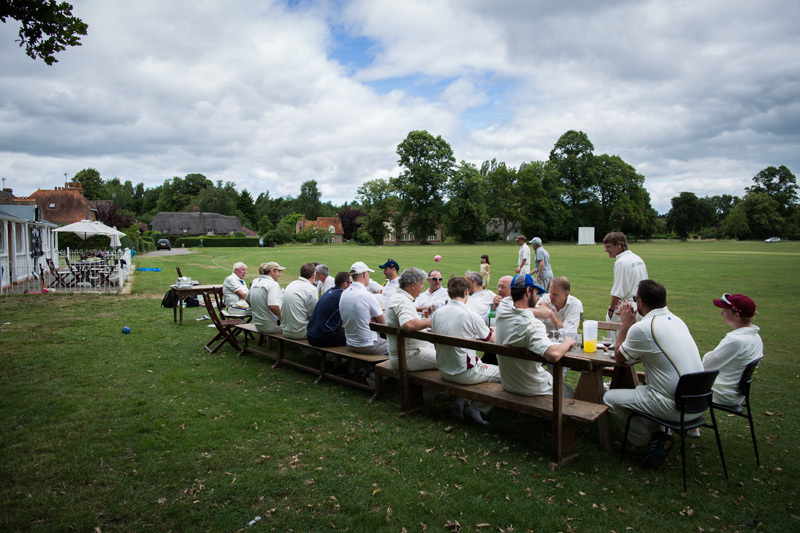 Lunch was – as always – a convivial affair where the two teams mingled and tried to show the other team that they were far more committed ‘remainers’ than the other side. The metropolitan elite argued fiercely with their yokel brethren that not only had they voted remain but that they loved Jeremy Corbyn. The remainers from the shires poo-pooed their big City cousins by saying that not only did they vote remain, but they all had crushes on Diane Abbott. Eventually, both teams decided that the only was to decide who were the most ardent pro-europeans was mano-a-mano (or rather, mano-a-bat) on the cricket pitch. 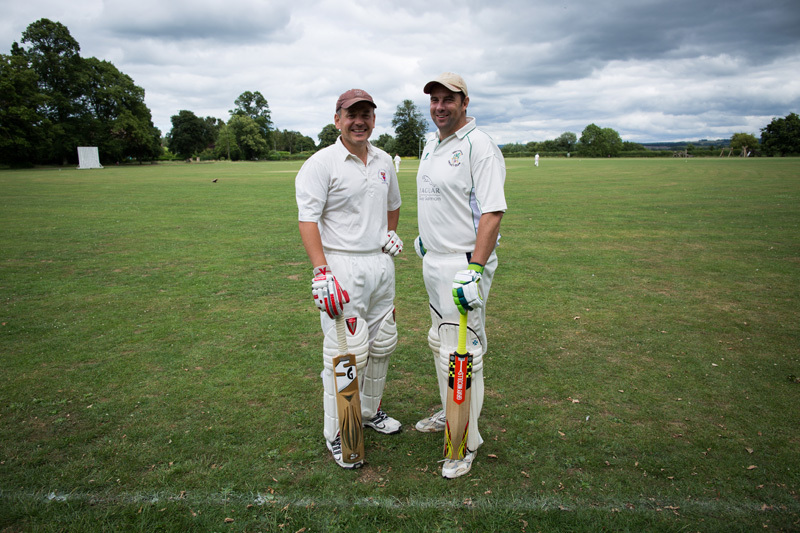 Once the NOBs had scored 231 – aided by three dropped catches by W&SCC skipper James Tilley, Andy decided – without consulting his vice-captain – to declare. It was a move straight out of the ‘Strong & Stable’ play-book and one that The Telegraph would have been sure to support – before changing it’s mind when the result came in. Andy threw the ball to Rhino, who had blazed a swash-buckling 1/2 century earlier, and was now ready to deliver some new-ball justice. He turned the pitch into a veritable mine-field luring the W&SCC opening batsmen into the corridor of uncertainty and keeping them there. He snaffled a wicket – and this would have been his last major contribution of the game if he hadn’t spent the next two hours marooned on the boundary shouting encouragement to his team mates like an Australian accented fog-horn. Dave Simms zipped in from the other end, and was unlucky not to induce some nibbles which might have reached the slips. If he had, this would have given Ed ‘The Chunder’ Williams an opportunity to make a contribution to the game other than wearing his shorty-shorts as an umpire and setting hearts racing by wearing his wife’s white Aquascutum trousers when fielding. Normally Ed can be relied upon to bowl a gift-wrapped 25 runs-an-over spell of declaration bowling, or injure himself during a dramatic and avoidable run-out. However, in 2017 he was remarkably quiet – except for enquiring whether ‘Dorris’ was wearing y-fronts or a thong under his batting trousers. W&SCC were starting to chip away at the total – at which point Andy threw the ball to yours truly, ‘The Tornado.’ Before long another batsmen was back in the hutch and there were murmurings that in years to come I could become the NOBs very own ‘Fox.’ And when the W&SCC number four walked out – and a certain Tim came to the crease, I saw an opportunity as a new batsman is always at his most vulnerable at the start of his innings. After a mere 87 runs, blazed to all corners, we found Tim’s weakness. He was particularly vulnerable if he’s scored 30 runs in his previous over. Before departing Tim had battered his balls all over Mrs Fotherington’s flowering clematis – but was sent packing by skipper Andy Hobbs. He brought himself onto bowl, after a string of questionable bowling change decisions such as allowing pretty much anyone else to bowl. Ben Treadway’s single over was without question, the worst NOBs over ever bowled. Even worse than Ed’s declaration bowling. Jamie Burton was given a bowl and initially approached the crease like an arthritic Wilde-beast, barely able to release the ball. Fortunately, after several overs he loosened up and remembered he wasn’t a spin bowler – but a handy medium-pacer. James Hobbs managed to discover a few moments of magic – and I feel confident he would have found his rhythm given another 10 or 12 overs. Surprisingly, Dave ‘Mr Italy’ Robertson wasn’t asked to turn his arm over. Whether this was because he’s no good at bowling – or whether he was dressed like he was about to play 18 holes at Wentworth, we’ll never know. However, as David had subbed for the other side, umpired and fielded for both teams he could certainly go home knowing he’d made an impact in terms of both athleticism and sporting fashion. Before long, the game came to a close. The NOBs fourth wicket was caught by Freddie, a W&SCC sub who can bat, bowl and field. For years, the NOBs have derided W&SCC for pursuing a youth policy. But now, the 14 & 15 year old’s of five years ago are energetic 20 year olds who have the advantage of strength, co-ordination – and most significantly – they don’t need to take their glasses off and squint if the ball comes anywhere near them. Dorris took charge of finishing the run race. The Fox, the W&SCC pro-athlete didn’t even need to come out to bat. 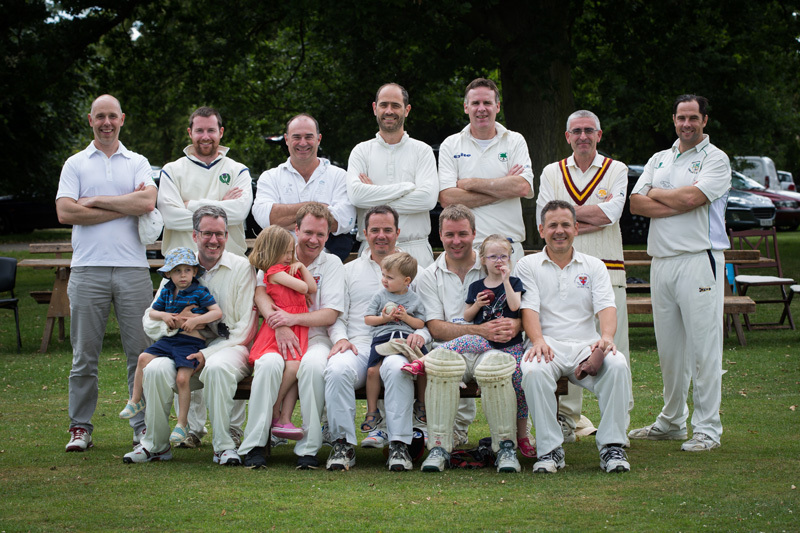 After four years of being battered by the NOBs, W&SCC managed to keep the rubber alive with a thrusting and long-overdue victory.